With proper maintenance, asphalt surfaces can last for many years. Pavement Solutions helps preserve and extend the life of your pavement with proactive, ongoing preventative maintenance. Our in-house crews are equipped to fix issues and eliminate the problems of sinkholes, cracks, holes and deterioration of function and appearance. 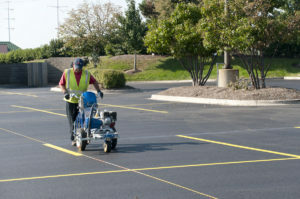 Sealcoating is the most important way to maintain an asphalt parking lot. Asphalt pavement is designed to be a flexible surface made from asphalt emulsion and fine aggregates. Aging can become accelerated if the pavement is left unsealed. Sealcoating is the application of a thin coat of coal tar pitch or asphalt emulsion mixed with inert fillers, water, emulsifying agents or additives. 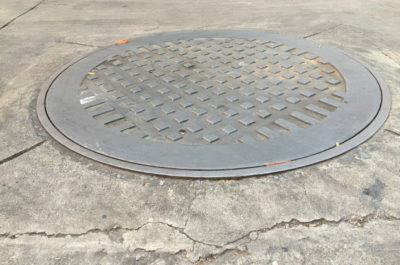 Pavement Solutions uses quality materials and a proven sealcoating technique to deliver outstanding resistance to water seepage, petroleum spills, oxidation from the sun and other damaging elements. Sealcoated pavements will last 30-50% longer than pavements that are left unsealed. We pride ourselves in putting us above our competition by using the best seal coat product currently in the industry. GemSeal Black Diamond Enduramax. This is a top-of-the-line asphalt emulsion, including a remarkabley abrasive non-slip coat. Our high-tech formula contains 4 to 5 lbs. of sand per gallon, unlike our competitors who use around 1 to 2 lbs. per gallon. This product is jam-packed with fibers, high solids, and fine aggregates to stand out from any other brand on the market. The first step to sealcoating is to clean the area from debris. The pavement’s condition is then carefully evaluated to identify asphalt defects such as cracks, potholes, and oil spills. Primer is used to cover up oil and chemical spots. Potholes are repaired, and cracks are routed and filled in with crack sealant. We apply at least two coats of commercial grade sealer to the pavement. It takes approximately 12 hours for the surface to completely dry. Enhance the value of your property with a well-maintained, efficient, compliant parking lot and roadway. Repainting your parking lot makes your property look newer and well cared for. Pavement Solutions applies pavement markings to help control pedestrian and vehicle traffic and maximize parking for tenants, customers and employees. We also create custom stencils—a great way to enhance your brand. Space Maximization – To maximize parking lot cost-effectiveness the property owner aims to get the most cars possible. There must be correct design and parking lot striping in order to achieve this goal. Traffic Flow Productivity – Parking lots should be easy for customers to enter, park, and exit safely. Drivers are efficiently directed with properly placed parking stalls, arrows, and handicapped-reserve signs. Designated Parking – It is important to consider designated parking spaces for disabled customers, employees, visitors, or other individuals before parking lot striping. Clear, sharp signage is an important factor to ensuring law-abiding parking lots and roadways. 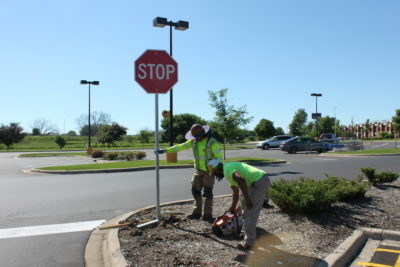 Pavement Solutions creates and installs signage for your needs. Our signs are high quality made, meeting or exceeding industry standards. Pavement Solutions are experts in federal, state and municipal ADA regulations and will help you avoid fines and penalties. ADA-compliant businesses have appropriate signage, parking spaces, etc. in order to accommodate individuals with disabilities. For more information and a complete list of the guidelines, visit the ADA website. 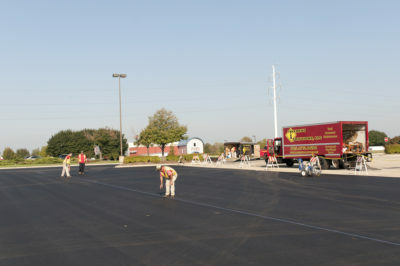 Asphalt is the most common choice for parking lots. This is most likely because of its affordability, longevity, and ease of maintenance. No matter what your asphalt project entails, Pavement Solutions meets the demand in the most-effective way. It would make no sense to save a few dollars now, only to have major regrets in the long-run, right? 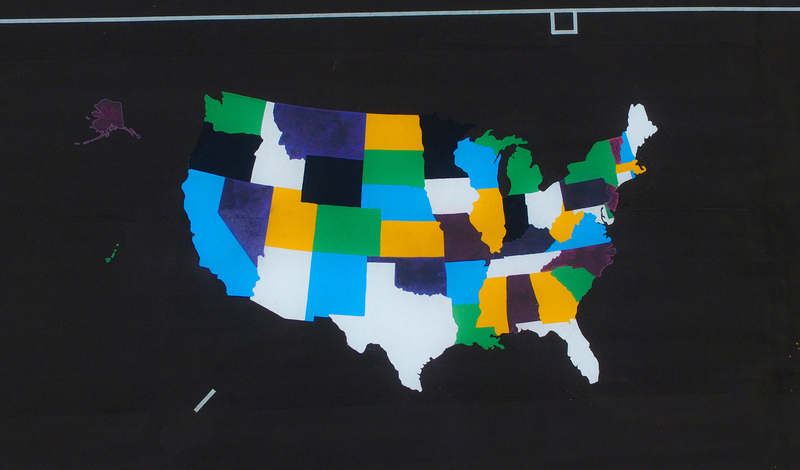 There are many different ways to install asphalt, and our estimators are happy to see which option is best fit for you. Our team is here to identify the specific needs of your lot and present a work plan that fits within your budget. Sometimes negligence of proper maintenance can cause an asphalt lot to become damaged beyond repair, and the only solution is to start fresh. Though sometimes, the actual problem could be much more critical. Whether it be issues with the groundwater, a weakened subgrade, or that the lot is not equipped for traffic flow; Pavement Solutions will create a full maintenance plan to combat it all. Asphalt pavement is a large investment, which is why it’s crucial to have a partner who understands this, and that develops a scope-of-work to keep your lot orderly for the next 20+ years. All asphalt is removed via excavation. The subgrade and aggregate base is inspected to ensure stability and longevity of the new construction. New asphalt is installed and compacted. Any necessary pavement markings and signage are put in place. The conditions of some lots may not be too treacherous and may just call for a simple “refresher”. A layer of gravel is placed upon existing aggregate. The lot’s pitch is adjusted for efficient/effective water drainage. Asphalt is laid on top, according to your custom specifications. Asphalt resurfacing (also known as an asphalt overlay) is a cost-effective way to restore your asphalt pavement to the condition that it once was. Resurfacing is best suited for parking lots that have been properly maintained over time, and still have a stable sub-base. If there is a lot of fatigue cracking on the lot, full-depth patching may need to take place before resurfacing. Basically, asphalt resurfacing is only as reliable as the base layer that it’s being installed over. The top layer of existing asphalt is grinded down. A new layer of asphalt (usually 1.5″ – 2″ thick) is installed right on top. 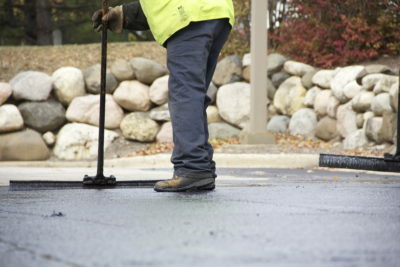 We also offer asphalt additions, curb-cutting, and general asphalt modifications. We deliver crack filling and joint sealing services—truly the first line of defense against the degradation and eventual failure of pavement. Cracks allow moisture penetration from rain, snow, salt and ice, which erodes the base of your parking lot. As these harmful substances penetrate the subbase of the pavement, the cracks widen and eventually cause potholes. Unrepaired potholes will chip away and become more severe pavement issues. This exposes you to serious liability. Among other risks, potholes are trip hazards to tenants, customers, and employees. Crack sealing these gaps effectively stops the seepage of harmful substances and prolongs the life of your pavement. 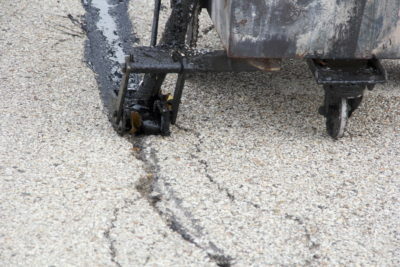 Proper crack sealing prevents issues from spreading while doubling the pavement’s service life. Proactive maintenance in the beginning stages of deterioration saves businesses money by delaying expensive pavement work. Block – Cracking forms a square pattern, intersecting approximately 90 degrees. Reflective – When an existing crack/joint in the pavement structure reflects up through the surface. Edge – Parallel-appearing cracks that are near the pavement’s edge. Alligator – Flexible asphalt becomes less tolerable to vertical deflections over time. Tension is created, resulting in alligator-type-cracking. Joint – Joint cracks are created from improperly bonded joints. Crack routing is necessary to ensure proper bonding. High-traffic areas are strongly encouraged for routing as long as the cracks have not already been sealed. Repair methods depend on budget, pavement downtime, and crack type. A protective reservoir for the sealant material is created through crack routing. Preventative – Crack sealer is designed to seal cracks and joints from moisture. 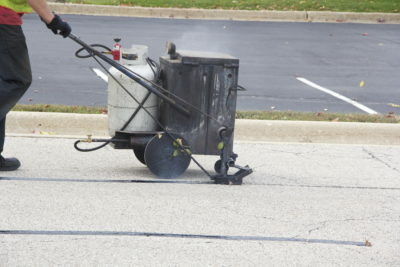 Superior Material – Pavement Solutions uses a hot sealer when crack sealing. Cold sealer has a tendency to pop out of the crack from temperature changes. Elasticity – Crack sealant moves along with the crack’s thermal movements. Potholes occur when moisture penetrates cracks, the cracks increase in size, and asphalt breaks off into smaller pieces. Potholes are dangerous because they can cause damage to pedestrians and vehicles. Asphalt patching and infrared patching repairs parking lot potholes. 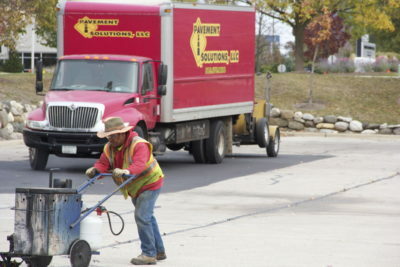 Pavement Solutions offers cold, hot, and patching methods. Asphalt is added in lifts, raked, and compacted with a vibratory roller. This type of patching is an alternative to traditional patching methods. The process involves heating up a pavement area to make it workable. Top lift of existing asphalt is removed. New asphalt will be added, along with liquid rejuvenator, during the raking process. The repaired area is then compacted with a vibratory roller. Newer pavement can be repaired without saw-cutting. Creates a smooth path at transition joints. Time – The entire process takes 10 to 20 minutes to complete. No Seams – The old pavement and patch area is seamless. Cost-Effective – Infrared patching requires less labor. 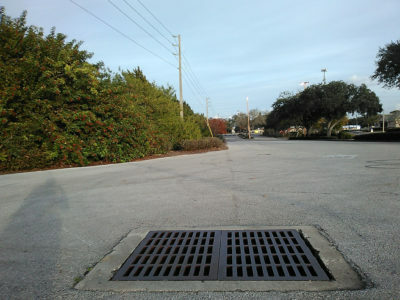 We repair concrete structures in parking lots; such as manholes, storm sewers, water valves, and sanitary sewers. Whether it is replacing just the adjustment rings, or replacing the entire structure(s). Reinforced concrete is the most popular material for sustainable structures because of its strength and durability. Proactive maintenance ensures that your parking structures have a long-term service life. Wall / Column Repairs – Epoxy injection is typically used for repair. In more severe cases a concrete re-pour is needed. Expansion Joint Repairs – Defective joints can restrict movement in concrete slabs, allowing water to seep into the structure. Expansion joints are replaced to restore structure functionality. Post Tension Repairs – Post tension repairs are required for strength and structure integrity restoration. A structure needs post tension repair if there are broken tendons popping out of the surface, parallel cracking along the post tension strands, and diagonal shear cracks in beams and joints. Deck Repairs – When the cast surface of concrete is compromised, deck repairs are needed. The damaged area is usually removed with concrete reapplied over it. Deck Coating – Concrete parking decks can be protected from vehicular and pedestrian traffic abrasion, and freeze/thaw cycles through coating. Traffic Coatings – Traffic coating is applied to concrete surfaces as a waterproofing layer to protect decking from water penetration, UV rays, and road salt. This coating is usually used in high-traffic areas that get direct exposure to the elements. Epoxy – Epoxy coating enhances concrete surface appearance. The concrete surface is also protected against vehicular damage, chemical leaks, and natural aging processes. Moisture Barriers – In order to restrict water vapor from penetrating concrete slabs, a plastic membrane must be placed below the concrete structure. This allows proper sealer and concrete slab adhesion as well as reducing efflorescence formation. 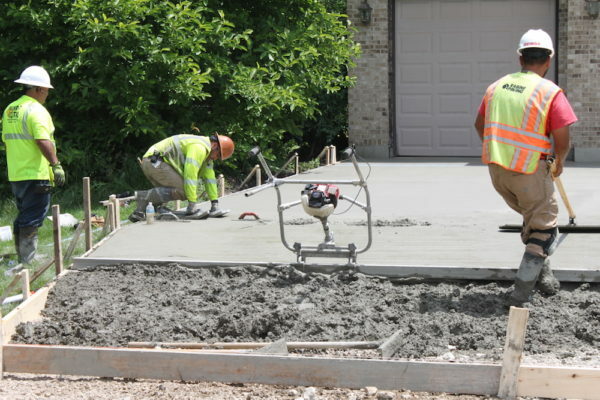 Concrete flatwork surfaces include walkways, curbs, concrete aprons, sidewalks, driveways, and more. 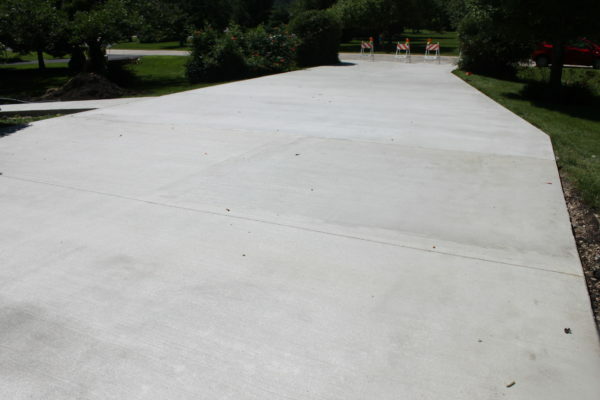 Concrete is the best material for flatwork due to its ability to form perfectly flat and even surfaces. Pavement Solutions is a pioneer in concrete flatwork technology. Concrete flatwork is first framed using forms or lumber. A compacted aggregate subbase is added next. Rebar or wire is added to strengthen the finished concrete. A retarder is added to slow the curing process and prevent premature cracking. A wax based sealer is applied as a extra level of protection. Poured concrete is compacted with an extruder to strengthen the curb for fracture cracking prevention. Control joints are placed to allow curbing expansion during the winter season. 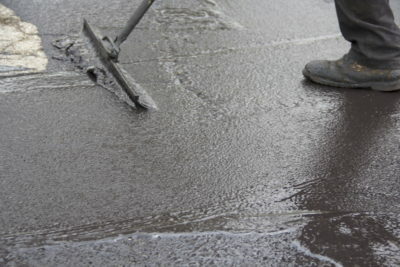 A high-quality sealant is used to protect the concrete from oxidation. 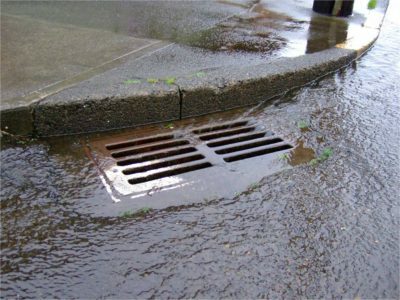 Weather Management – A lower temperature is generated from concrete surfaces. Low Maintenance – Concrete pavement requires minimal upkeep. It only needs joint sealing and annual cleaning. Long lifespan – Properly maintained concrete can last for twenty or thirty years. The Pavement Solutions snow team is fast, reliable and dedicated to safety. We customize maintenance and snow removal plans to fit our customers’ unique needs and budget. Pavement Solutions utilizes advanced weather-tracking software to monitor storms. We create detailed timetables to let you know when your property will be serviced, sending out specialized weather reports directly to you. Our crew utilize the latest anti-icing products to protect our client’s property before snow accumulates.